Any sizable EPC Project comprises of a significant amount of equipment that is manufactured in the factories and then shipped to the project site for integration and erection. The types of equipment include, Steel structures, Motors, Pumps, Turbines, Separation Vessels etc. Much of this equipment for a project may also be have been custom built and might not have been ‘Off-the-shelf’ standard items available from the manufacturer. 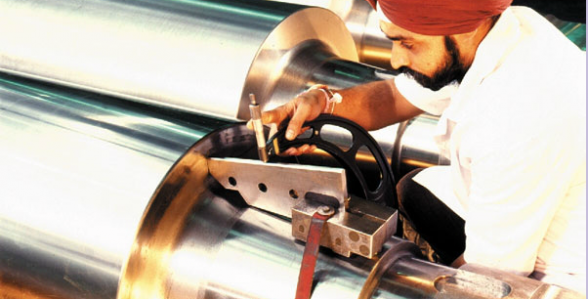 To ensure that the equipment perform as per specifications when erected at site and to eliminate the necessity of sending back the equipment back to factory for rectification – which can potentially delay the project, there is an elaborate method of monitoring the conformance on the equipment with the designed and ordered specifications. The overall process of ensuring the compliance of equipment with designed specifications include creation of an overall Quality Assurance Plan for equipment including the details of the test to be conducted on the equipment, their success criteria, role of the various agencies involved in the tests etc. With respect to the approved Quality Assurance Plan, then the manufacturer raises the inspection call to owner or contractor for visiting his factory and performing the required quality tests within a time bound period. The owner/contractor may himself or via a third party specialized inspection & testing agency (Third Party Inspection Agencies(TPIA)) may visit the site and perform the tests and give decisions. The TPIA may give the recommendation to the Contractor and/or the Owner and based on the TPIA Recommendedation - the final decision is taken on the inspection call issued by the manufacturer. The above process of inspection call management(quality management) generates large number of records as Inspection Calls, Assignment of inspection calls to relevant people and relevant agencies, Decision on the inspection calls (if the tests passed / or failed and associated root cause analysis), Creation of specific material dispatch clearance certificates etc. tBits CollabWrite – Inspection Call Management modules enables you to manage all the records associated with the inspection call workflow in a seamless manner. Complete integration of procurement activities with Engineering and Commissioning Activities. Automatic Generation of Inspection call complying to output formats and project specific rules. Tracking of all inspection calls from origination to their disposal as the inspection call is routed between the agencies as Vendor, Contractor, Owner, Third Party Inspection Agencies etc. Track all the quantities from raw material to dispatch. Automatic creation of Material Dispatch Clearance Certificates. Automatic Reminders and Escalations for managing non-compliance with Project standards. Automatic MIS Reporting for tracking all tests as listed in various equipment Quality Assurance Plans. Objectively evaluate the performance of various suppliers with respective to their commitments as well as quality parameters for future orders. The other features related to core application of tBits CollabWrite are also available. Tracking of inspection call from origination to their disposal: Track all the equipments and the tests which are to be done on them in realtime. Minimize delays in inspection call processes by having a realtime visibility about the complete process between the various parties. Create the information database about the quality processes and performance of your suppliers to create meaningful project relationships and gain competitive advantage. Ensure that all your project records related to procurement process in the projects are in a single location – QAPs’, Inspection Calls, Decision on Inspection Calls, Material Dispatch Clearence Certificates, Post Dispatch Logistics and details till the equipment is available on site. Reduce the possibility of claims from owners and vendors by ensuring all records are available in a single repository with secure access.